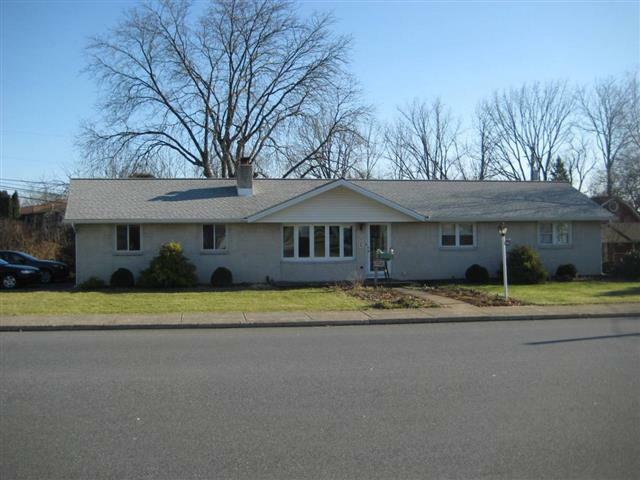 Well maintained & bright four sided all brick ranch. Large rooms & good closet space. Living room has a full wall floor to ceiling brick fireplace w/ hearth, brick shelves, & heatolator. The dining room opens to the 16x10 covered brick patio & large yard w/ partial fencing. Eat-in kitchen & full bathroom have been updated. The three bedrooms are good sized & have nice closet space. The basement is totally finished with a 30x26 rec room, 13x8 craft or storage room, 8x5 office, laundry room, oil boiler room, and components for a full bathroom. There are hardwood floors on the 1st floor; three zoned oil heat, central air, a newer bay window in the living room, an oversized two car garage w/ and area for a workshop, bikes, etc. There is a mudroom off of the garage and kitchen with a door to the large yard. There is a small vegetable garden and a gate to get to the Ironton Rail Trail just 1/2 block away. The roof is new as of 2016. The washer, dryer, & refrigerator remain with the home.